Journal clubs have an extensive history that dates back to the time of Sir William Osler. They provide a venue to discuss the latest medical literature among groups of peers and are an innovative method for translating knowledge into practice within individual institutions. With advances in social media, journal clubs are poised to take an evolutionary step by harnessing digital connectivity. Online journal clubs are uniting hundreds of medical practitioners from around the world under the banner of one cause: enhancing knowledge translation of the medical literature without the limitations of geography. 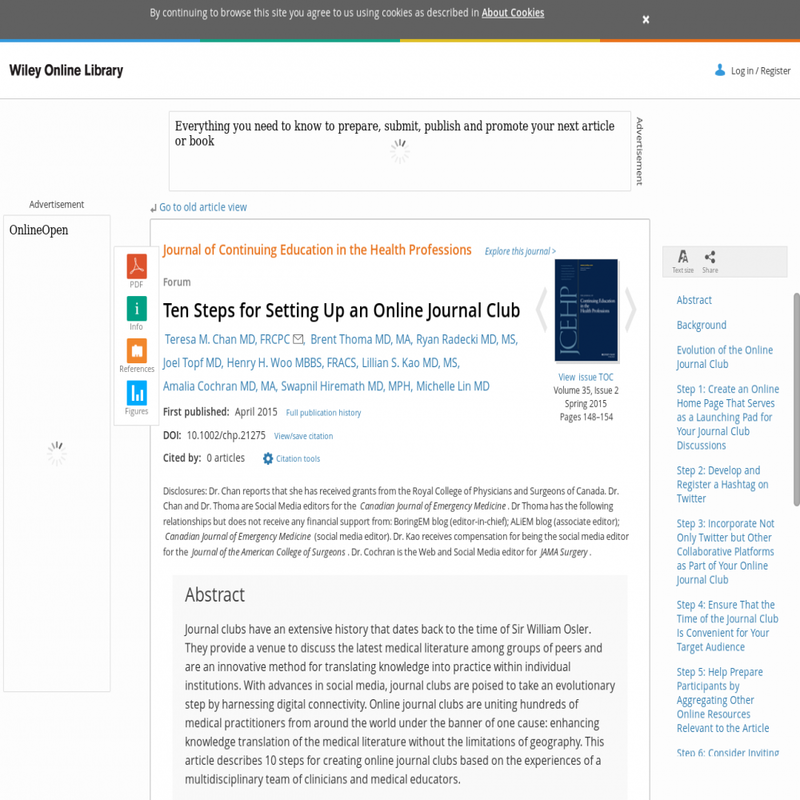 This article describes 10 steps for creating online journal clubs based on the experiences of a multidisciplinary team of clinicians and medical educators.